Ominous and haunting, what better time then to have a national drinking holiday? Hence, the only style of beer specifically named for a month: Octoberfest. The German Märzen is frankly not a favorite style of mine, I find they leave me wanting more flavor and less cotton mouth. That said, they’re a staple of my favorite time of beer, and have a much richer history then the trendy pumpkin ales. Lets get started. Eyes and Nose: Maple/ruby colored beer with a thick white head that slowly dissipates. A touch of maple and toast on the nose. Mouth: Rich maltiness with a nice amber finish. A touch of hops adds a bit of character to this brew, which has a very mild roasted quality to it. It has a flat finish, like many lagers in the Märzen style, and feels very light despite a fairly flavorful mouthfeel. 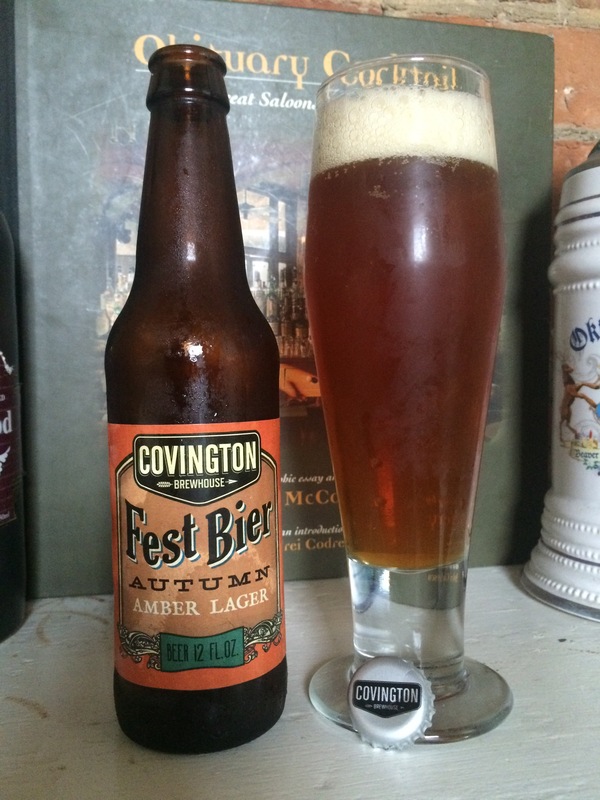 Rating: All in all, this is a pretty good Autumn Lager. It has enough flavor and hoppiness to keep it interesting, and I would have another for sure. That said, it still feels empty as is typical of the style.